From cheesecakes to chocolate cake to cobblers. 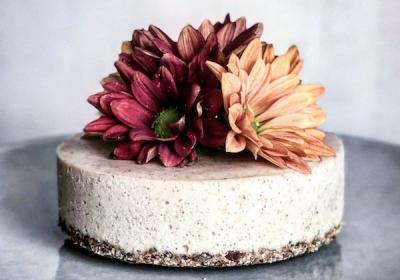 You'll find the best raw cakes and pies here! This dreamy cake by Iselin Amanda Støylen of A Green Kitchen has lots of flavor and the most decadent silky texture imaginable. If you are a tahini lover (and how could you not be...), this may very well become your new favorite raw dessert. 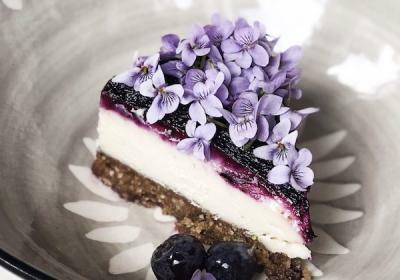 Today's recipe is an easy but amazingly delicious raw cheesecake topped with blueberry jam by Iselin Amanda Støylen of A Green Kitchen. You can use almond or cashews in the crust, or for a fun variation try raw peanuts. They'll taste amazing paired with vanilla and blueberries. Enjoy! Lavender, blueberries and figs...what a dreamy flavor combination. These lavender fig tarts by Heidi Turunen of Rawlicious Delicious make for the ultimate high tea treat! The base is made from dried figs, but you can also replace figs with dates. The creamy filling is colored with blueberries and flavored with organic food-grade lavender essential oil. So dreamy! 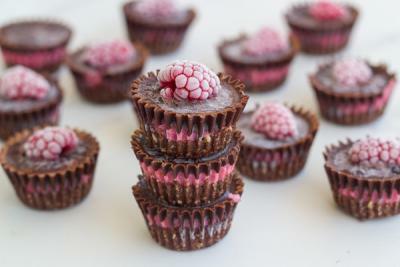 What could be sweeter than raspberries paired with raw chocolate? 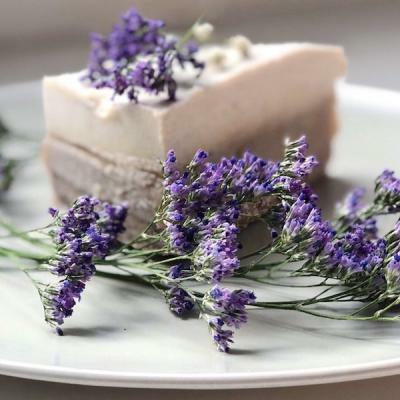 This recipe by Vanessa Vickery of Becomingness is the perfect spring treat guaranteed to help uplift your mood. Looking for an ultimate spring treat? You just found it! 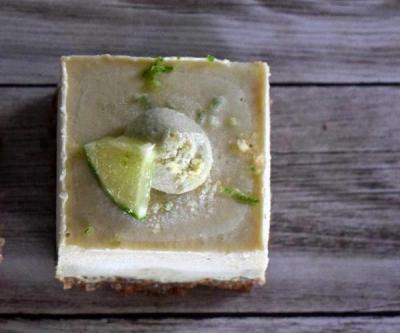 This Pina Colada Cheesecake tastes like sun and tropical paradise. Go ahead... take a bite, imagine being on a beautiful white beach, soaking in the sun, dipping your toes in the warm sea. It’s that good! This recipe by Heidi Turunen of Rawlicious Delicious is also raw, gluten-free an vegan, which makes it even better. 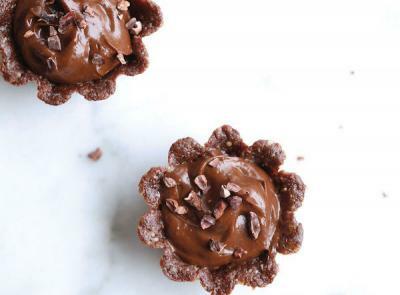 An amazing no-bake dessert that is super healthy and easy to make. 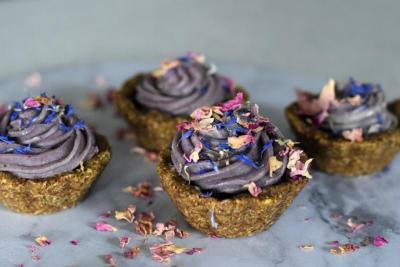 These raw tarts by Ella Leché of Pure Ella are rich in healthy fats, antioxidants, healthy protein and are refined sugar-free. Oh..not to mention delicious!! Tahini is great. So is caramel and vanilla. And salt. So it pretty much goes without saying that when the three are combined together in one dessert the result is pretty magical. The caramel layer in this cake is definitely the star of the show, but the crust and the creamy top layers are also epic.